Today is April Fools Day, which means you should definitely be on guard for things that sound too good to be true. 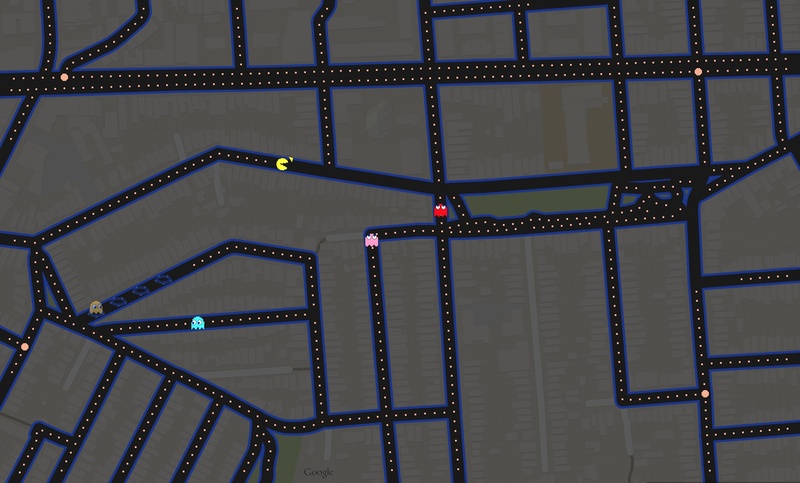 Yet one such too-good-thing that turns out to actually be quite true is the special treat your friends and neighbors from the Google Maps team created to celebrate the day: A special, playable PacMan layer for Google Maps that can be applied to areas with lots of criss-crossing roads. Areas, like, say, Bernal Heights. Your neighborhood just got a lot more interesting. 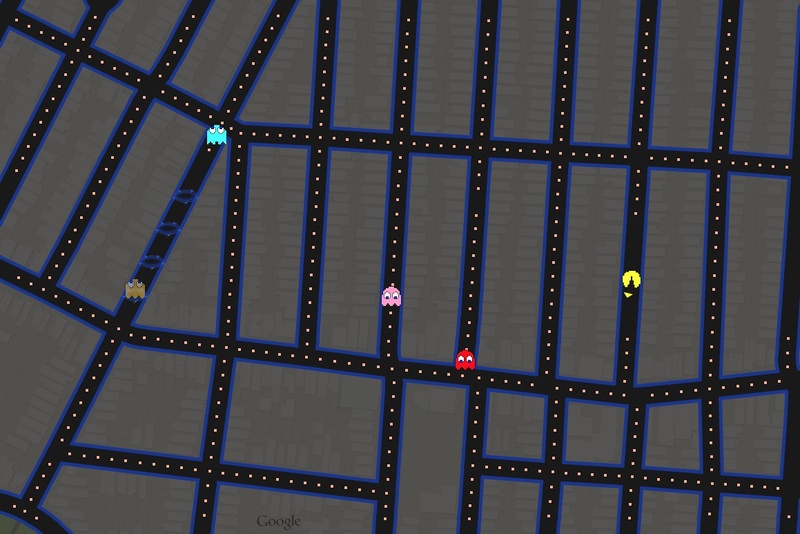 Google has released a new feature for Maps that lets you turn any location into a game of Pac-Man — all you have to do is click the new Pac-Man button that resides in the lower left corner of the screen. When you do, whatever section of the world you’re looking at will transform into the pixelated arcade classic, complete with four colorful ghosts and the iconic music. While developers have created similar hacks before, this version of Google Maps Pac-Mancomes directly from Google, and even supports mobile devices. 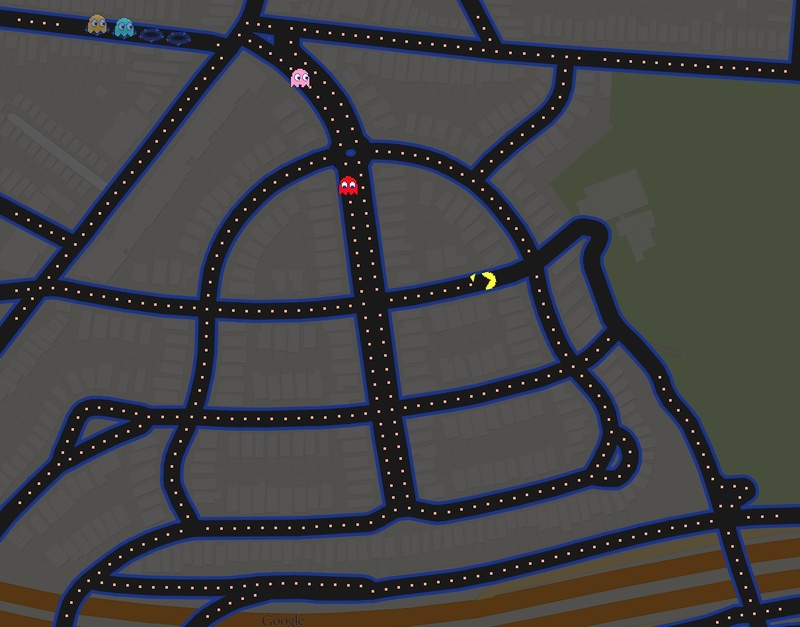 Caution: You may find that there aren’t enough ghost-munching Power Pellets in some areas of Bernal Heights Pac-Man. This is completely unacceptable. 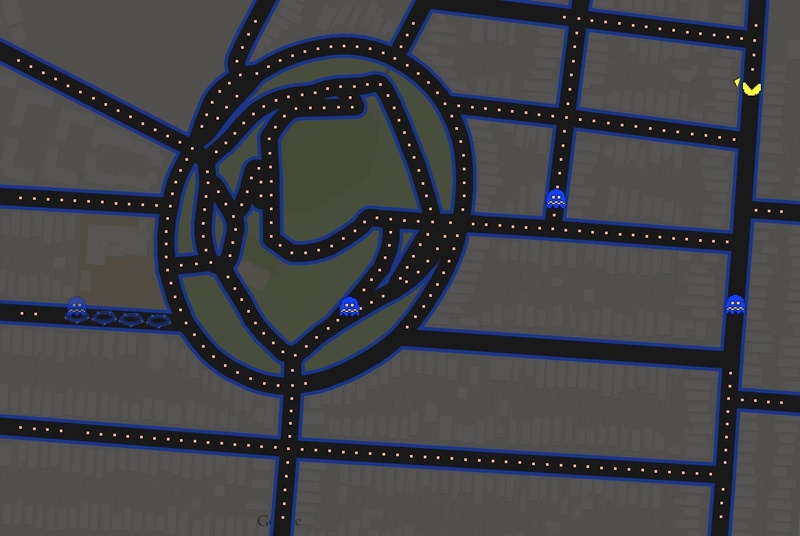 We recommend filing lots and lots and lots of requests for additional Bernal Heights Pac-Man Power Pellets with 311.org and D9 Supervisor David Campos’s office. They’ll be totally glad to assist you. Give St. Mary’s Park bell-shaped neighborhood a try too. Those roundabouts will getcha! You’re so right! I added a St. Mary’s Park image to the post, and seriously… beware those roundabouts!